— The preparations for the first flight of Boeing's CST-100 Starliner spacecraft took a minor, but symbolic step forward this week with the reveal of its first mission patch. The NASA team contracted by Boeing to run Starliner's mission control at Johnson Space Center in Houston debuted their emblem on Tuesday (April 3). "Boeing Mission Operations (MO) continues to prepare to fly the first Starliner test flight later this year for The Boeing Company," wrote NASA flight director Ed Van Cise, a member of the Boeing MO team, on Twitter. "As part of our prep, we have created our MO patch for that Orbital Flight Test (OFT) mission." 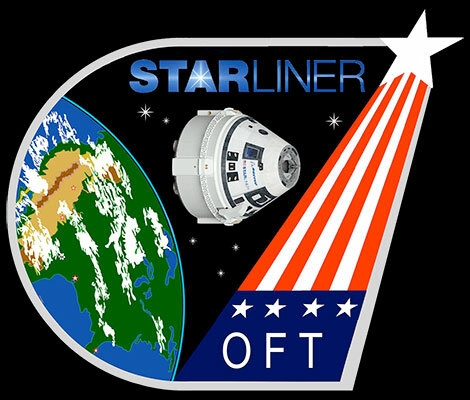 The patch features the Starliner capsule, which Boeing is building to fly astronauts to the International Space Station under a commercial agreement with NASA. The Starliner is depicted in orbit over Earth with four points on the planet highlighted by four small stars. The locations, according to Van Cise, are Kennedy Space Center in Florida, where Starliner is processed and will launch; Houston, base to Boeing's engineering and MO teams; Denver, home to United Launch Alliance, provider of Starliner's Atlas V rocket; and the White Sands area in New Mexico, where Boeing plans to land the spacecraft. The Starliner OFT mission, which as of Monday (April 2) NASA said was targeted for August, will fly a flight profile similar to when Starliner launches with astronauts, but without a crew. Following its launch from Space Launch Complex 41, the uncrewed Starliner will dock to the space station. After about two weeks connected to the orbiting outpost, during which performance data will be recorded, the spacecraft will return to Earth, descending under parachutes to an airbag-cushioned landing in the western U.S.
During the flight, a team of NASA ground controllers, including Van Cise and three other flight directors, will command and monitor Starliner from the Mission Control Center at Johnson Space Center. "[The operations team's] vast experience in countdown protocol and proven safety and mission assurance practices ensure that safety is built into our system, in our countdown to launch, and throughout our culture," stated Boeing. If it proceeds to plan, the OFT mission will demonstrate that the Atlas V, Starliner, ground system and Boeing MO team are ready to perform a crewed flight test. The Boeing Mission Operations emblem was designed by artists Tim Gagnon and Jorge Cartes, who previously worked with space shuttle and space station crews to create their mission patches. "Honored to contribute to a third spaceflight program," Gagnon wrote on Twitter. The Boeing MO patch is the first to represent the OFT mission. Boeing is expected to release its own patch for the upcoming flight test. 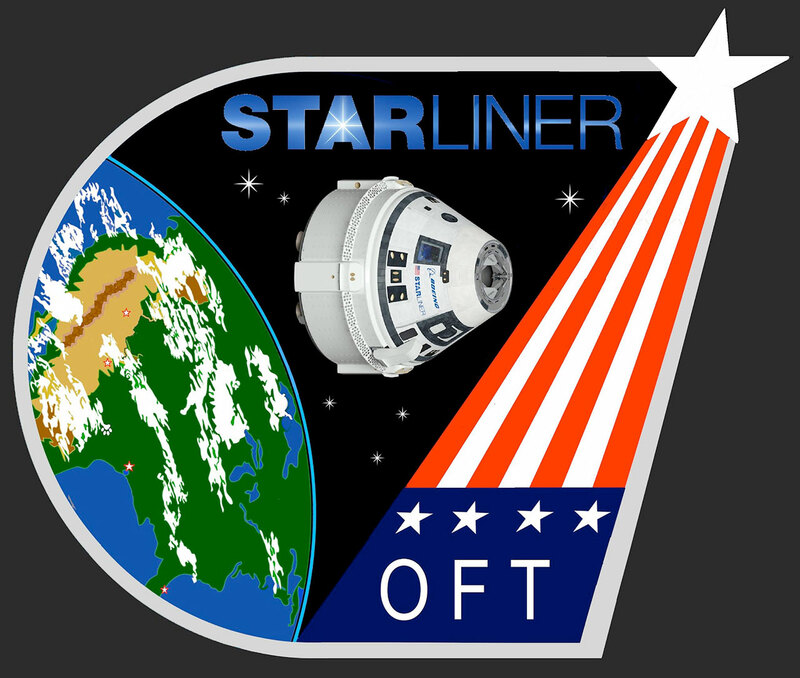 Boeing previously revealed its CST-100 Starliner program patch in April 2016. The company's official store also recently introduced a series of Starliner products as part of its "shadow graphic" collection saluting the impact of Boeing-built vehicles.